Beach Lane Books, 9781442443976, 32pp. 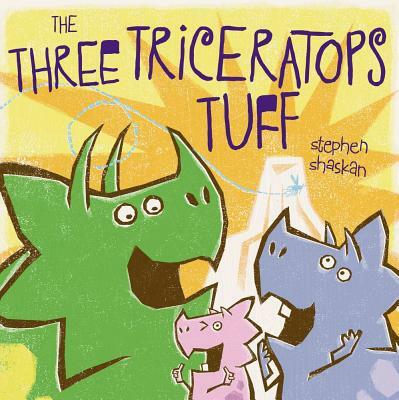 This clever retelling of a tried-and-true tale has a paleontological twist! This vividly illustrated story transplants the classic tale of “The Three Billy Goats Gruff” into the Cretaceous period, where dino fans of all ages will enjoy seeing their favorite subjects use their smarts to battle it out for dinner.